Large OEMs, contract manufacturers, and engineering/design teams around the world rely on Design Mark for precise user-interface technologies and other engineering-based solutions. Here’s why: Our in-house design, engineering, and fabrication services support every step of product development from design to delivery – always with an eye toward perfection. WHICH SOLUTION IS RIGHT FOR YOUR PROJECT? Specializing in the design and manufacture of membrane switches, graphic overlays, and rubber keypads. Additional engineering-based solutions include functional die cuts, control panel assemblies, and custom plastic labels. Our skilled in-house engineering team provides fully functioning prototypes for significant flexibility in your product design and development. Digital is the future. 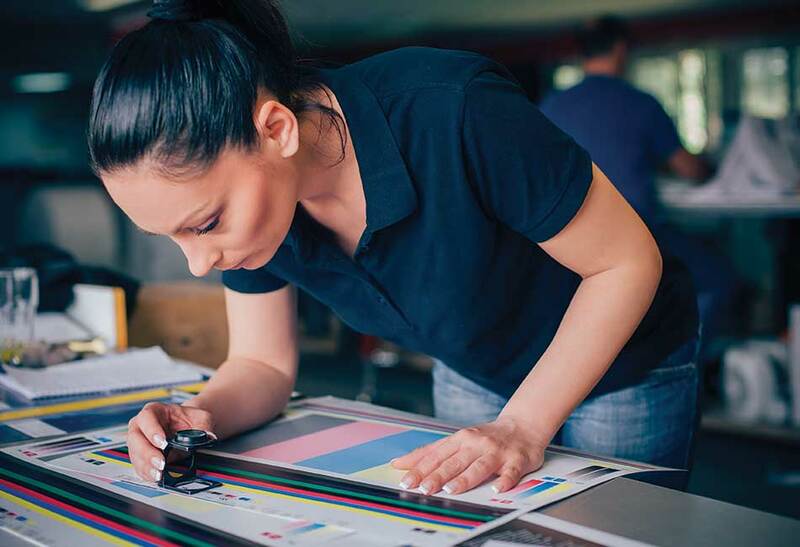 Our digital printing solutions offer surprising design flexibility, quick turnaround, and the exciting link technology, which supports variable data printing. Thanks to our innovative technologies and continuous improvement in our processes, you get efficiency and accuracy.